The calligraphy of Puttur artist Shivarama E V, popularly known as S R Puttur, was lauded at a calligraphy exhibition organised in South Korea. 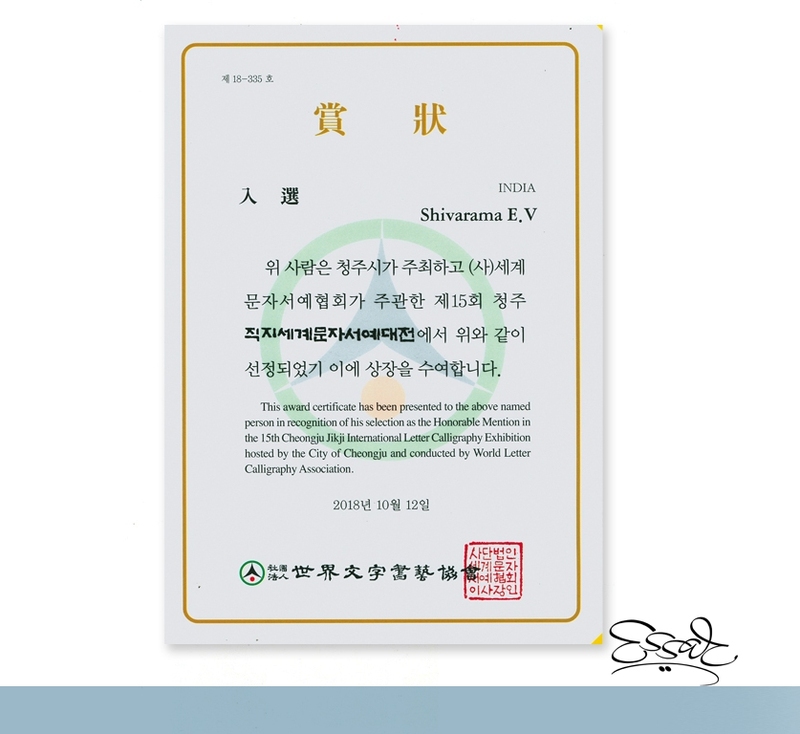 His calligraphy work on D V G’s Mankuthimmana Kagga was sent for the 15th Cheongju Jikji International Letter Calligraphy exhibition hosted by the City of Cheongju and conducted by World Letter of Calligraphy Association. He had entered his calligraphy work through Calligrapher Narayana Bhattatiri’s organisation. Shivarama has been working as a Postal Assistant at the head post office in Puttur. He is an artist and cartoonist. His Kannada calligraphy has been utilised on the cover of many books.